Roulette, being the oldest casino in the industry is still played. 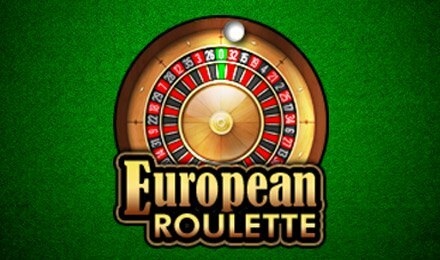 European Roulette Pro is a new variant of the game, which offers you major possibilities to grab an edge at Moon Games Casino. Launch the game on your mobile, desktop or tablet and enjoy the pleasures this game offers! European roulette is played using a 37-numbered wheel plus a 0. The game is played on the classic green matted table with the roulette wheel standing right behind it. Select your stakes by clicking on the chip of the coin denomination. After selecting your chips, place your bets by clicking the spot on the table on the main betting area or on the Racetrack Betting Area. Place as many bets as you like on the table. Once you’re done placing your bets, spin the wheel by clicking on the Spin button. The aim of the game is to correctly guess which number the ball will land on. It is then paid in accordance with the paytable. Amount of Paylines Selection: There are no paylines in the game. Coin Values: Chip denominations range from £0.01, £0.05, £1, £25, £100, £500, £1,000 and £5,000. Double Bets: This option doubles the value of the bets placed. Neighbour Bets: When a bet is placed on a number, that number and other two numbers on either side are selected. These five number together make up the neighbour bet. Spin the roulette wheel at Moon Games Casino! Enjoy other roulette games on the site such as; Live Automatic Roulette, European Roulette, Deal or No Deal European Roulette, American Roulette, Roulette Deluxe and more!